I just finished watching Pixar’s Inside Out. If you have not seen it I highly recommend it. Great movie that provides great information about our emotions. There are some spoilers in this piece, so be forewarned. Watching this movie reminded me of the unfortunate concept that is a part of men’s culture. A disconnect from emotions. Aside from anger. Anger appears to be the one emotion that society expects men to display. The internet has come a long way since I was a kid. I remember patiently waiting as I listened to the dial tone of my computer as it logged onto AOL (America Online). I remember joining my first chat room filled with strangers and asking the popular question “A/S/L?” I even recall getting mad at my mom for logging me offline by making a phone call. I am recently divorced. After 11 years of a committed relationship I have been getting back into dating. At times this scares the crap out of me. Having to put myself out there, again. It takes some great courage and willingness to be in the uncertainty that dating creates. From what I have found, dating can be one of the most confusing and frustrating aspects of a man’s life. At least for me this is true. I personally have found, it is challenging to approach a woman I am attracted to. To invite a woman on a first date. Then to go on the date itself. The one thing I have found that gets the best of me in the dating world is my own anxiety. My anxiety about the outcome of my interaction with a woman that I find attractive. So there I was. I had traveled thousands of miles to see one of my best friends marry the love of his life. 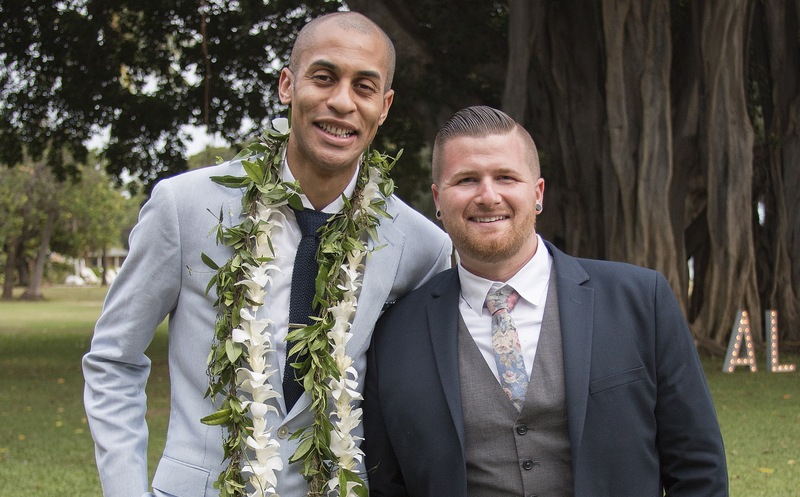 As I slowly walked across the fresh cut grass of this beautiful venue on the island of Kauai, I couldn’t help but reminisce over all the amazing memories I have had over the years with Aaron and how far we have both come as men in our lives. Aaron and I had met during my freshman year of college. I had started my first job ever as a cart attendant at Target. Aaron worked in the electronics department. One night while I was doing my closing duties, I passed by the electronics department where I heard some amazing music that drew my attention. I curiously asked Aaron who the band was, and next thing I know, I had spent 30 minutes talking music with someone I had never spoken to before. Over the following weeks, Aaron and I talked daily, exchanging music, hanging out to watch movies, and soon, what started as a superficial friendship became something so much deeper. Aaron was the first adult friendship I had where I felt truly comfortable being 100% myself. I could tell him anything and never had to fear judgment or disapproval. His friendship was unconditional as was mine. Over time, Aaron and I became closer and closer friends. Being there to support each other through our triumphs, our heart breaks, and every other important moment of each others lives. Then came a day that I thought would change everything. Aaron had made the decision to move to Berkley for college. An admirable decision of course, but what of our friendship? How could he be my partner in crime if he was miles away from me? What if I never saw him again? What if he forgot about me? I was excited for him and devastated for me. I supported him through the decision as I would expect him to do for me as he made the big move to Northern California. At the beginning of Aaron’s journey, we talked quite often via phone or Myspace (for those of you who remember). He would come to town quite frequently and we would always make time to spend together. As the years went on, the communication dwindled and the visits became less frequent. 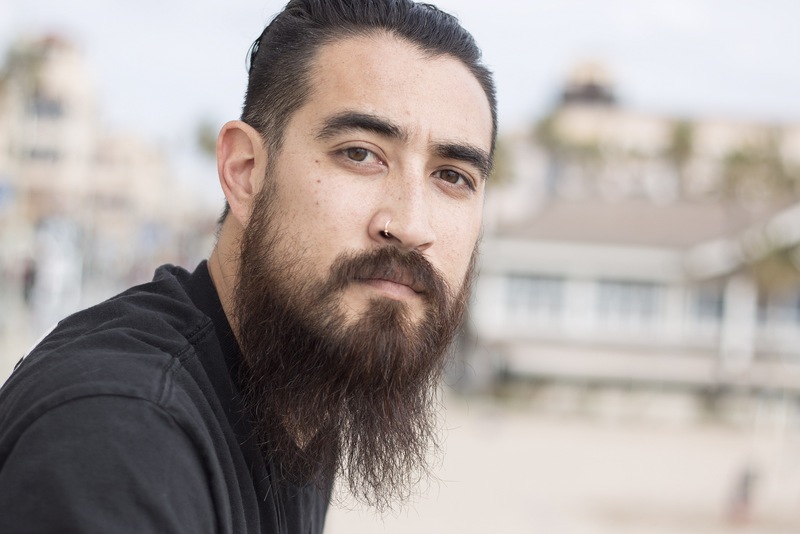 Aaron had now finished his school and was starting on his career. He had met a girl who finally brought him the joy he was looking for. Then came the day of his wedding. There I was, so many years later, attending the wedding of someone who I haven’t seen for nearly a year. As the years of memories passed through my mind like a soft Hawaiian breeze, I was overcome with an immense feeling of gratitude. You see, we all have those people in our lives who we consider friends. Many of these friends pass in and out of our lives as time goes by. Some friendships end abruptly, some fizzle out slowly. There are friendships that mean little to us and some that create a strong emotional bond. I had always been a believer that family is the only relationship that lasts forever. Aaron proved me wrong. As I walked across the lawn to greet him, I caught his eye. He walked to me with a smile on his face, tears in his eyes, and gave me a hug. Two grown men separated by distance and time, and yet, here we are together just like all those years ago, just as close as we’ve always been. As Aaron and I stood there together, it all became so much more clear. Distance will never separate the bonds of true friendship. No matter how many years go by without he and I seeing each other, we both will always be there for each other when it counts. We will stay friends until the day we both leave this earth and even then, our memories will live eternal. It was in that moment I realized, true friendships never die. Our mind, can be our worst enemy or our greatest ally. You see, our mind, has developed patterns of thoughts, behaviors, and emotions that we have carried us from a very young age. We have developed them by listening and observing others. Change. Change is something that occurs numerous times throughout our lives. Some situations of change are minor, hardly effecting our lives at all.